City Run Beach Clean-Up Scheduled Today - Yo! Venice! 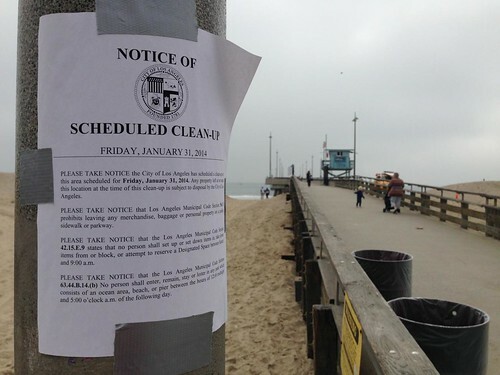 Please take note that the City of Los Angeles has scheduled a clean-up of this area scheduled for Friday, January 31, 2014. Any Property left at or near this location at the time of this clean-up is subject to disposal by the City of Los Angeles.